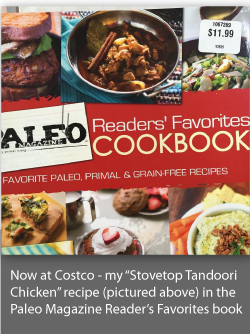 It’s been a while since I posted a recipe, and this one has been a favorite of mine since I started eating (and cooking) Indian food. I love cauliflower–you can make it so many ways! Mashed, riced, roasted, sautéed…I love them all, but my favorite is cauliflower cooked Indian style. I’ve shared a very similar recipe before for my Indian-Spiced Cauliflower Fritatta, and the method is almost the same. But if I’m just making it as a side dish, I do things just a little differently. And the great thing is that if you have leftovers, you can easily make them into a fritatta! For vegetarians (and really anyone, since it’s so good! ), if you want to make this a complete meal, just scramble a couple of eggs and add them to the cauliflower right when it is done cooking. Heat a large skillet over medium heat and add your cooking fat. I used a half and half combination of coconut oil and ghee. *Note: if you are using a stainless pan, you may need a little more fat to make sure the bottom of the pan is covered completely. When the oil is hot, add the jeera mix and allow it to pop (about 30 seconds to a minute). Add the onion and stir well. When the onion is softened and beginning to brown, add the mircha. Cook for a minute or two. Add the garlic and cook for about a minute. Then add the haldi and mix well. Add the cauliflower and mix well until the cauliflower is coated with the the oil and haldi. Add some salt (about 1 tsp. to start) and stir. 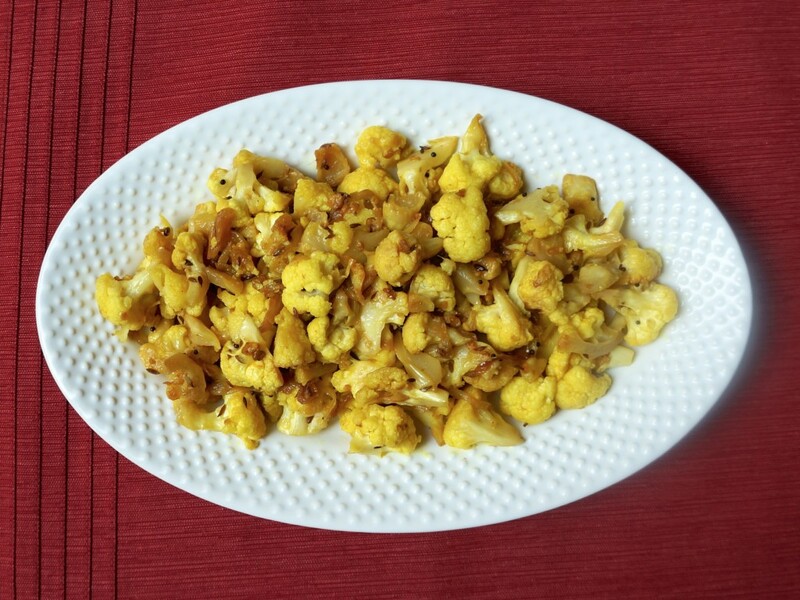 Cook over medium-low heat for abut 20-30 minutes, stirring occasionally until cauliflower is tender. You can also cover the pan and let it cook for about 10 minutes, then uncover and cook on medium heat until the cauliflower is tender--this speeds up the cooking, but it also results in a more watery texture. Taste for salt, and adjust as needed. Once the cauliflower is mostly cooked, taste it for salt and adjust as needed.